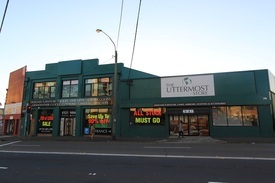 9 Commercial Real Estate & Properties in Camperdown are listed in 3 categories. 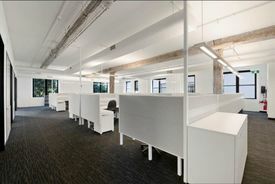 We have 5 OfficesSale & Lease , 2 Industrial Warehouses Sale & Lease and 2 Retail ShopsSale & Lease . 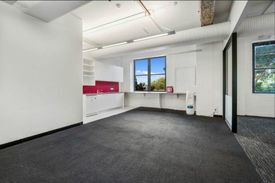 University Of Sydney Retail Opportunity Contact Katie Tsitos 9313..
An opportunity has become available at the University of Sydney to secure space in the Wentworth building. The University has over 50,000 students and staff each year onsite. The space suits many uses including Beauty Consultant, Hairdresser, Nail Artist etc Unfortunately no food users due to the locality. 18 28 Briggs St. is a unique, untouched warehouse. Located centrally in the heartland of Sydneyâs inner city medical and university precinct. The site on offer is over three Torrens titles, with attractive planning and development opportunities while equality appealing to an owner occupier. The Parramatta Road Corridor project has the potential to transfer Parramatta Road into public transport friendly and business + retail hub connecting the CBD to the Inner West and beyond. Three streets from Parramatta Road, Briggs St meets Missenden Road and Church Street. The street a quasi industrial / residential. Opportunity to an owner occupier or investor Raw untouched warehouse First time on the market in over 50 years A great "Diverse and Affordable Housing" opportunity (STCA) â State Environmental Planning Policy (Affordable Housing) 2009 Three Torrens titles Land size: 1025 sqm Building size: 815 sqm Zoning: B4 Mixed Use FSR: 1.5 1.99:1 Height: 12m All inspections are strictly by appointment with the Agent.